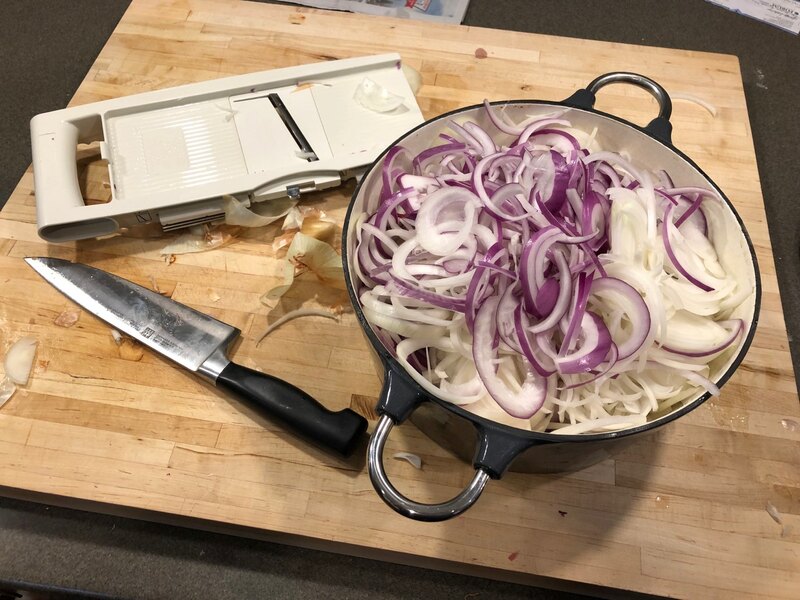 French onion soup, step 1: Slice up a metric ton of onions. Pro tip: Have a box of tissues nearby. There will be tears.